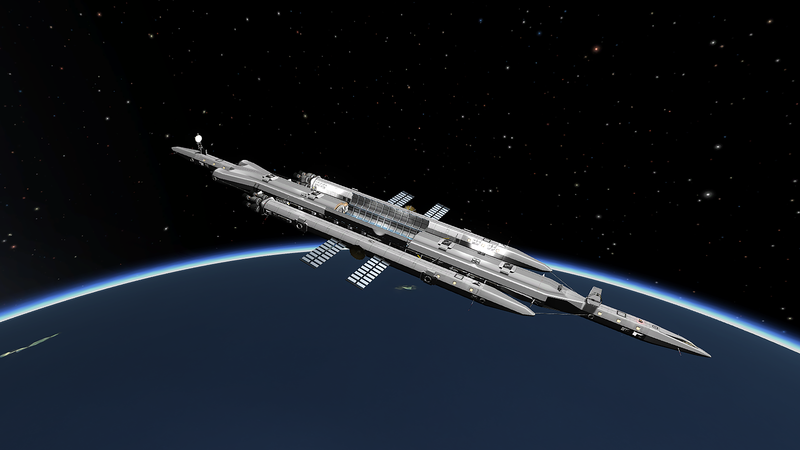 A mod space battleship called Battlestar Galactica. Built with 202 of the finest parts, its root part is B9.Cockpit.S3. Built in the Spaceplane Hangar in KSP version 1.1.2.